We've heard of triathlons, but what's an Olympic *biathlon*? There are 15 different sporting events that make up the 2018 Winter Olympic Games, and some of them are definitely more well-known than others. One of the lesser known events this year is the biathlon. It’s quite possibly the most random event during the Games, leaving many wondering: What exactly is a biathlon? The biathlon consists of skiing and shooting. Yes, athletes go from cross-country skiing to shooting a gun for sport. And while that might sound strange, it actually has a totally legit backstory. It’s based on survival skills practiced in snowy Scandinavian forests, where people hunted on skis with rifles on their shoulders. Biathlon-type events have been popular in Scandinavia since back in the 18th century, but the first modern biathlon happened in 1912 during the annual Forvarsrennet event in Oslo. The biathlon didn’t appear in the Winter Games in its current form until 1960 in Squaw Valley, California. The womens’ biathlon didn’t begin until 1992 in Albertville, France. 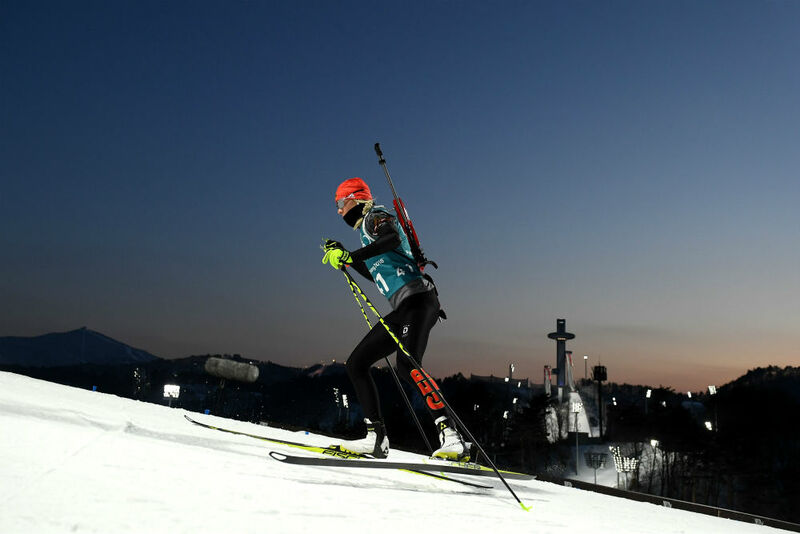 At PyeongChang, there will be 11 biathlon events: men and women’s sprint, pursuit, individual, mass start, relay races, and a mixed relay. Each event consists of the same thing: racing on skis, then shooting. Some races are longer than others, and for some, it’s more about making the shooting target. Athletes ski with rifles on their backs and either shoot standing or prone, which means laying on their front. In sprints, athletes compete in 30-second or one-minute intervals, stopping to shoot twice (once prone, once standing). The top 60 athletes compete in pursuit, with the winner starting first and the others following depending on their time. There are four shooting stops (two prone, two standing). The first racer to get to the finish line takes the gold. In individual, all athletes race in 30-second or one-minute intervals, and stop to shoot four times (two prone, two standing). It’s the longest distance, but also more about the shooting. If you miss the target, you get one minute added onto your overall time. In mass start, there are only 30 athletes who qualify based on the first three events as well as World Cup standings. They start racing together and stop four times to shoot (again, two prone and two standing). In relay, athletes stop twice to shoot and they are given three extra bullets per stop to load if they need to. In mixed relay, two women and two men make up a team. The women in each team do the first two laps. We can’t wait to tune in.